Most Chevy vehicles rely on the New Process case assemblies for accuracy. The NP series units have remained in demand due to precision engineering. 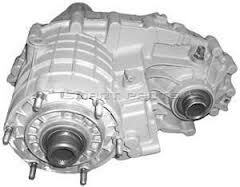 The type of Chevrolet vehicle used often determines the transfer case that is used. Our NP246 transfer case inventory can get you what you need. You take your pick between used or refurbished. We’re one of few retailers with OEM units in stock. You can stay away from unreliable rebuild kits. The NP series case assemblies have been used in more than just Chevy SUVs and trucks. A large percentage of automakers have experimented with the placement of these units. What is important for you to know is that it takes NP246 transfer case fluid to fully calibrate each assembly. This fluid is crucial to achieving longevity. Not all retailers sell this fluid. What we do is test each assembly. We have the correct fluid required. These tests assure accuracy and craftsmanship. Aside from the fluid, a complete rebuild is offered here. You get to choose between preowned or rebuilt. Each has its benefits. The previously owned units are pullouts from GM compatible installations. An overview is provided before shipments are made. The recycling features here at this company take general overviews further. A complete refurbishing job is made. This means springs, couplers, chains or other internal parts are replaced. Your vehicle deserves reliability. This can be achieved with a reconditioned or used case assembly. When it comes to warranties length matters. We don’t leave you high and dry. It’s common for us to attach a two-year limited warranty. The actual length is determined by the type of case you need. The year and the age are considerations that are made. Your protection is our priority. It’s expensive to buy a new assembly. We put our best rebuilders on the job for each NP case rebuild. The same goes for each preowned inspection. You’re getting a great unit. You’re getting a warranty. We even offer to ship free of charge. The transfer case price system here is quote driven. This means you’re in control of your pricing. You submit a request using this website. We know you’re interested in a case assembly. You choose the year and make of your vehicle. We’ll use this to get your price. All prices are generated here online immediately upon quote request. You can call us if you prefer. Our staff is ready right now to help you. We can lookup NP part numbers. Tell us what vehicle you have. Let’s get started.